DESCRIPTION: Very private and cozy 1 bedroom cottage nestled in the woods on 4 acres. 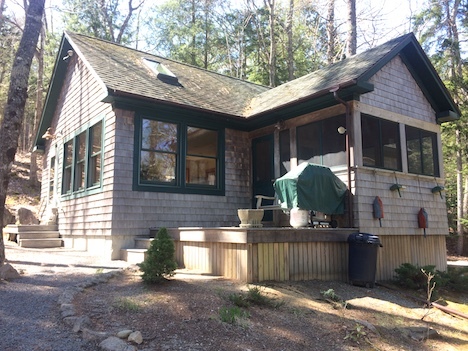 This cottage is located in a quiet residential area surrounded by conservation land and close to ANP boundary. Hiking trails accessible from the property as well as stream, waterfall and swim hole are all within a short walking distance. 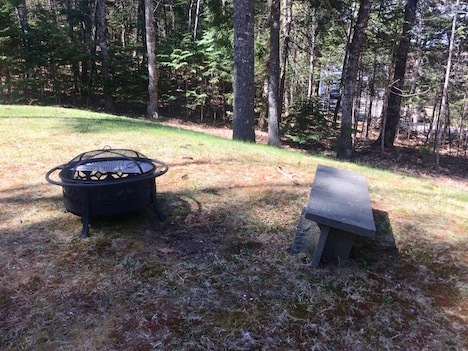 Large yard with fire pit, screened porch and small deck for outdoor living. LAYOUT: Open floor plan offering a living area w/propane heating stove and pull-out sofa, dining area and galley style kitchen. 1 bedroom with a queen bed. Full bath. Access to the screened porch.